Perfect for collectors and college students! How Do I Rent a Climate Controlled Storage? Once you reserve your climate controlled unit, one of our friendly team members will contact you with information regarding your unit. Want to reserve your unit over the phone or in person? That’s perfectly okay! If you’re more comfortable reserving your unit over the phone, please give us a call at 517-265-7920 or stop by one of our convenient locations in Adrian during business hours. We’ll get you set up quickly and easily. Climate controlled storage units are an excellent choice when you need to protect valuable items – like your RV, sporting equipment, or family heirlooms – from Michigan’s extreme winter temperatures and summertime humidity. Our containers are humidity- and temperature-controlled as well as water resistant to help safeguard your valuables from floods, rain, wind, pollen, moisture, sun damage, and more. Interested in a climate controlled storage unit, but unsure where to start? No worries! We rent to both residential and commercial customers including college students, families, sports enthusiasts, collectors, retail businesses, and restaurants, to name only a few. Our climate controlled storage units are affordable – view prices – and conveniently located in Adrian. You’ll have 24-hr. access to your unit at all times. Our facility is safe, secure, well-lit, and monitored with video surveillance 24/7. Why Choose Magic Fountain for Storage? 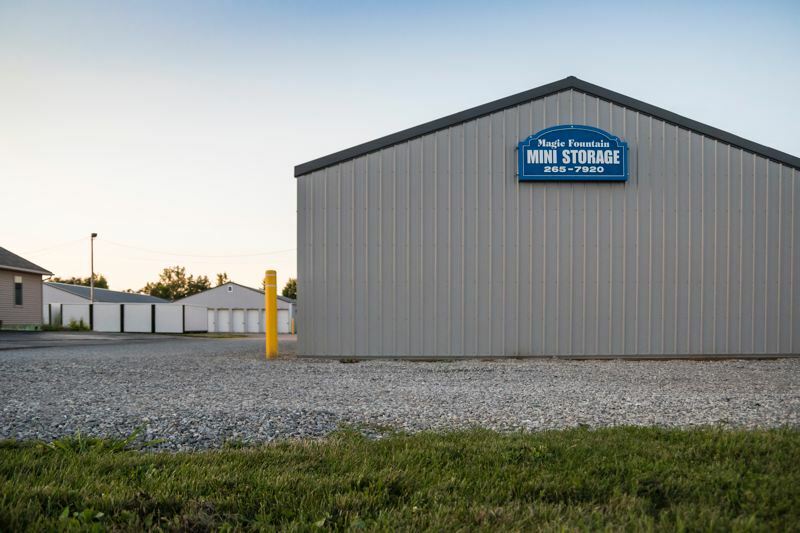 Our family owned and locally operated storage facility has served the communities of Lenawee County, including Adrian, Tecumseh, and Hudson, since 1988. We offer a variety of inexpensive storage options such as standard storage units and portable storage containers. Learn more about Magic Fountain.